Are you a recovering alcoholic wondering how to stay strong? You used to drink – now how can you fill your time? Try these 5 fun, self-care activities instead! If you feel like everyone is drinking but you, you’re not alone. Over 65 million Americans reported binge drinking in the past month. When you’re sober, it can feel like everyone is having a good time but you. The good news is this article is going to show you how to have sober fun without feeling left out. Stop the routine of your weekends being a blur of drinking too much, feeling hungover, and repeating that the next night. Go outside. Meet new people. Feel great while doing it. One of the biggest factors of staying sober is controlling stress. Stress often leads to higher rates of alcohol use. We talk about ways to manage stress in other articles. Let’s look at some ways to have fun without drinking. When you’re addicted, alcohol can start to feel like part of your identity. Take it away and it can feel like there is a void in your life. Volunteering is one of the best ways for recovering alcoholics to find purpose in their lives. Sponsoring other recovering alcoholics is a great place to start. Using your experience to help someone else heal can be very rewarding. Seeing your strength lift someone else up will help you feel confident in your ability to stay sober. If you’re looking for somewhere to get sober, check out this info on a top rated detox center. Drinking often turns into a way to avoid reality. There’s a reason so many rehab programs include meditation. Try spending 15 minutes a day reflecting on what you’re grateful for. Increase the time by five minutes every week. Keep a journal nearby to record how you feel before and after. Write down any ideas for things to do besides drink that you think of during meditation. Drinking often leaves us lethargic. The excess calories can cause us to gain weight. Consider hiking when you’re thinking of what to do instead of drinking. Hiking gives you a rush of fresh air and endorphins, the feel-good hormone. High-intensity exercise, like hiking, releases more endorphins than lower intensity exercise. This is one of those activities that take up a lot of time. Whenever you get bored, start picking out some new colors and furniture you’d like to see in the room. There will be a lot of things to do instead of drinking. Seeing your surroundings in a new way can help keep you focused on the positive changes around you. It’s one of the best things to do instead of drinking at night because it’s always there for you to work on. Organizing your life helps to take your mind off temptation. After cleaning, try to donate at least 10 items you don’t need or use anymore. Getting rid of physical clutter often helps us deal with emotional issues. The next time you’re feeling like you need a drink, remember that recovery is a process. Try the things to do instead of drinking on this list. Addictions hold us back from finding what really makes us happy. Read a book. Talk to friends. Take a nap. Whatever you do remember you’re not alone. 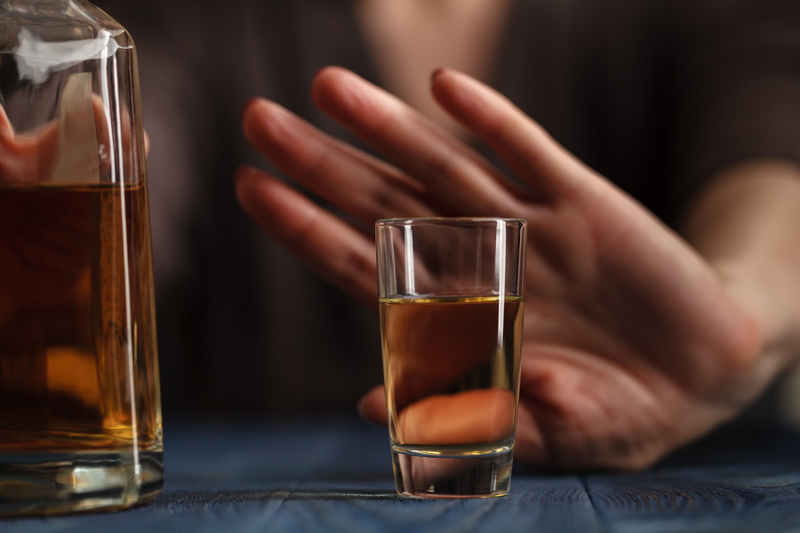 Over 15 million Americans suffer from alcohol abuse disorder. For help getting to the root of why you started drinking in the first place, click here.